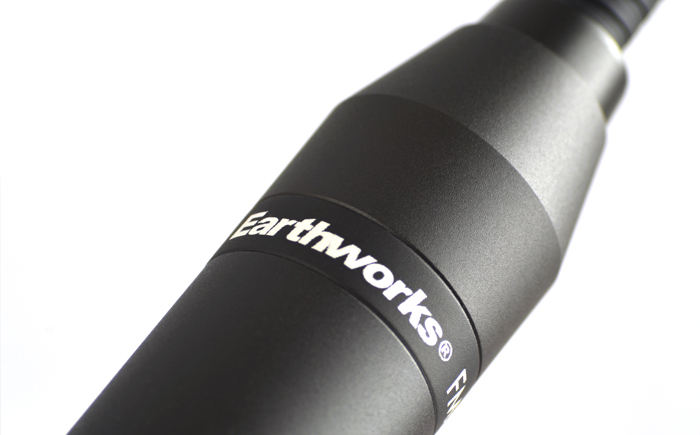 The Earthworks FlexMic™ Series podium microphones are designed for permanent installation in podiums and other surfaces for speech applications. 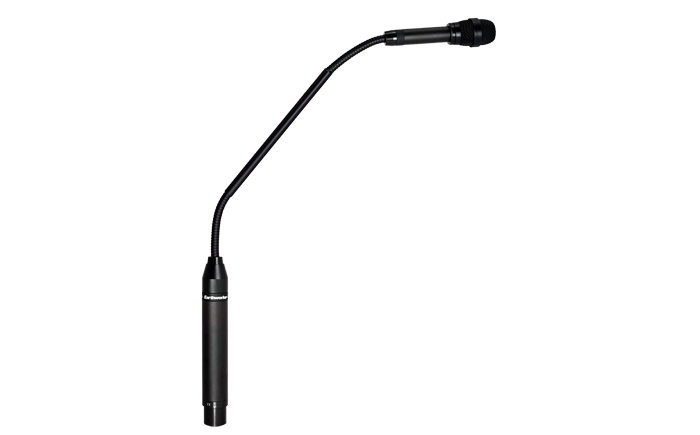 With 32dB or rear rejection, the FlexMic™ delivers more gain before feedback and exceptional isolation from unwanted sound sources. 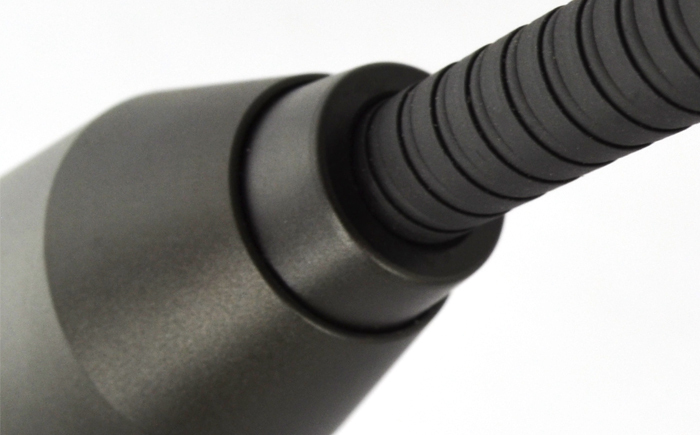 On a conventional microphone, the high frequency losses on the sides are also the same above and below the mic. 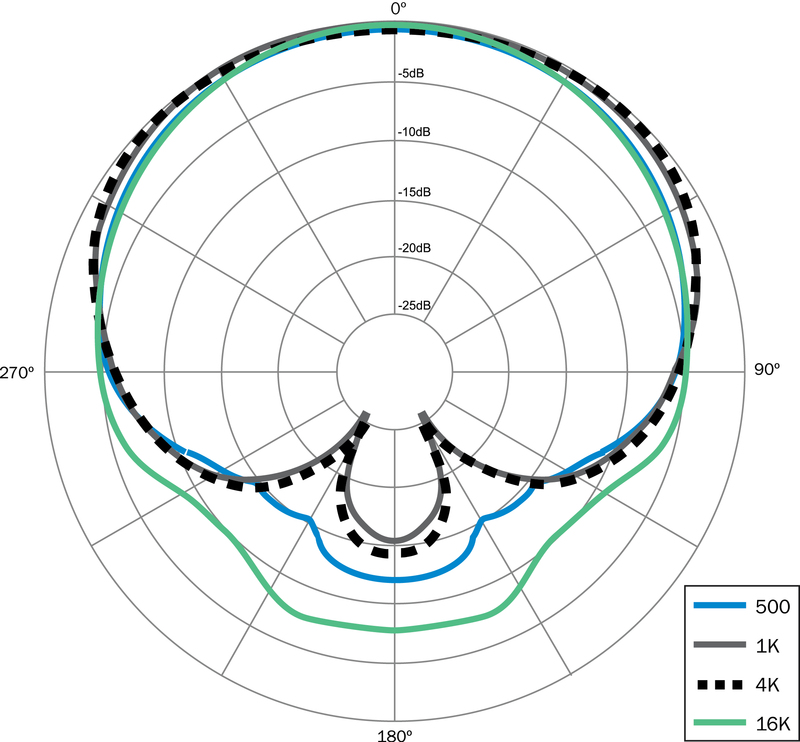 So, when an orator speaks under the microphone there will be the same loss of high frequencies as on the sides of the microphone. 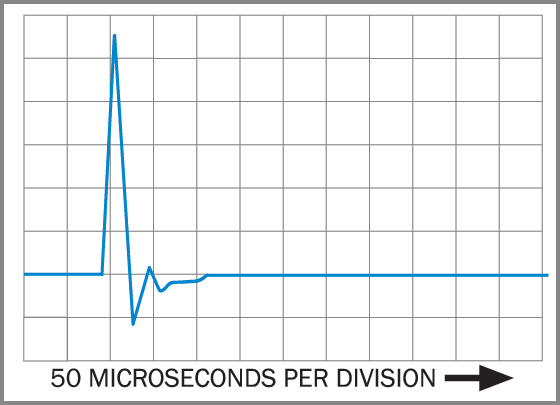 Likewise, when the orator speaks above the microphone the same high frequency losses will also be present. 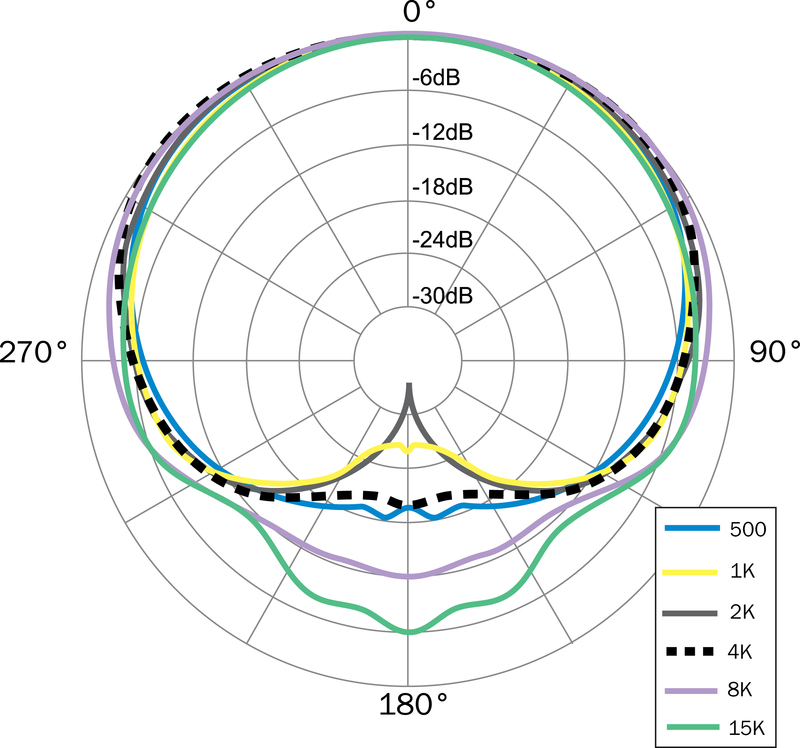 To illustrate this, the figures on the left show a conventional microphones pickup area (with full frequency response) from above and from either side of a podium. 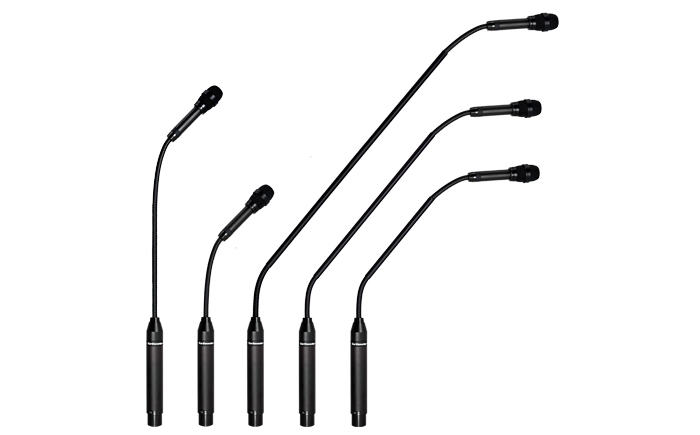 In contrast, the figures on the right show the pickup area (with full frequency response) of an Earthworks directional microphone, both above, and at the sides of a podium. 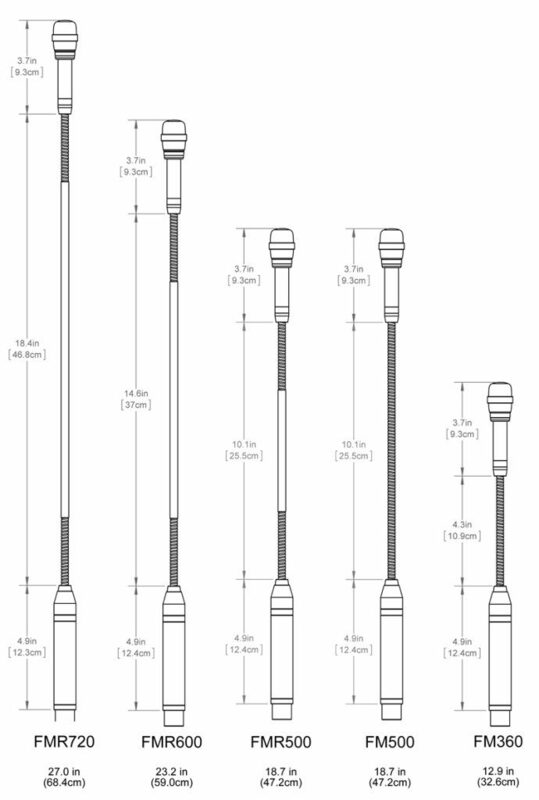 Notice the dramatic increase of the coverage area providing the full frequency response of the microphone. We used the new HD FlexMic for several worship services, and noticed there was an even greater clarity in the sound (almost like there was no microphone there at all), the intelligibility was incredible, and the HD mic had an even further reach both on and off-axis. 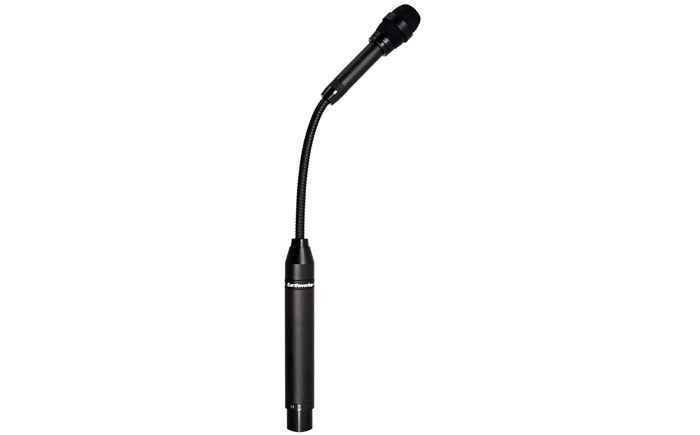 The Flexmic’s near flawless reproduction of audio and extremely smooth frequency response on and off-axis allows more gain before feedback than other microphones I have used.  I can get the level of audio I need from the FlexMics, even from people with poor microphone technique, without having to compromise the audio quality from excessive EQ to get rid of feedback. 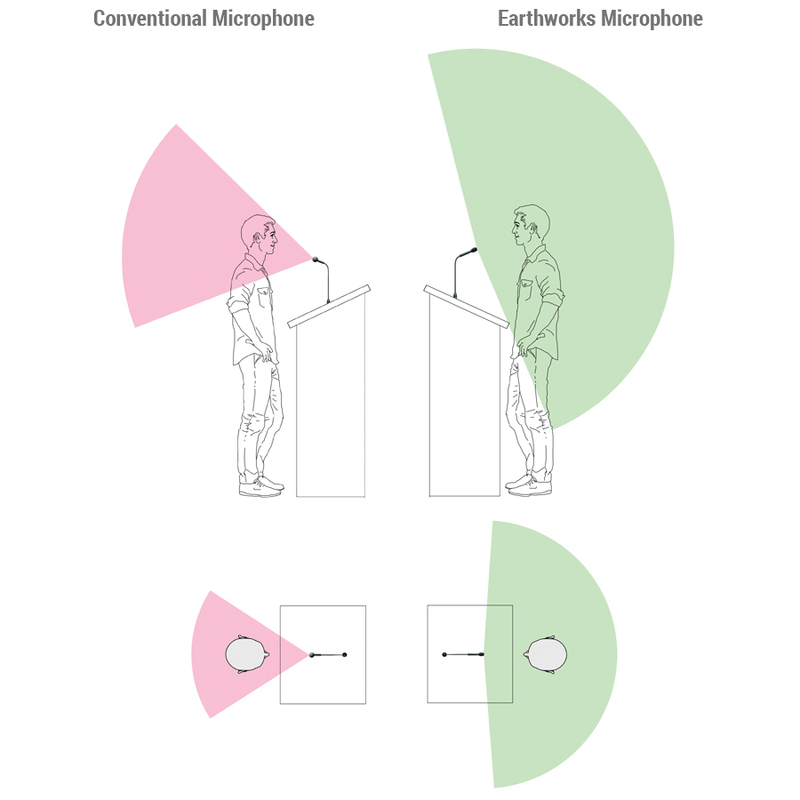 Speakers tend to shift from side to side when speaking, turn their heads, speak softly or too loud and back away from the mic. The FMR500 helps us to combat these issues. The response is consistent and clear during the entire presentation.